Incorperating racing technology, the Alpinstars GPX leather gloves are great for touring or adventure riding in moderate to warm weather. 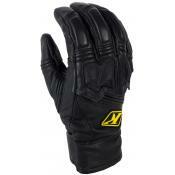 The all-leather construction makes for a long lasting glove that is both comfortable and protective at the same time. 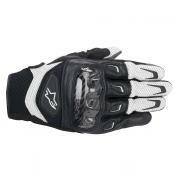 Technically constructed glove incorporates leather, suede and perforated leather panels for comfort and breathability. 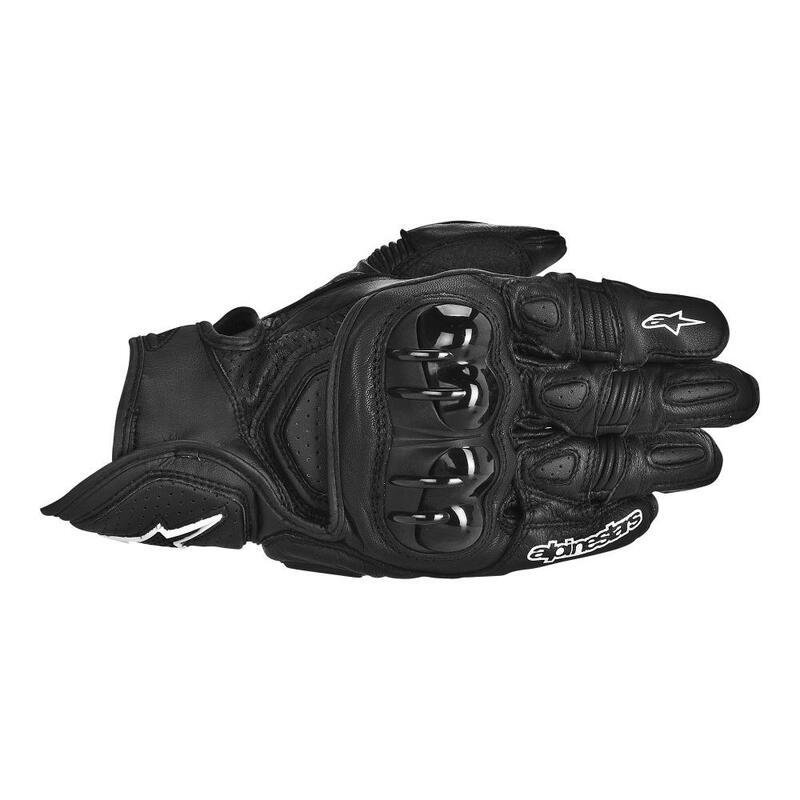 Integrated leather accordion stretch inserts on first three fingers and thumb for unrestricted maneuverability. Short cuff design features extended padded cuff to cover outer wrist area. 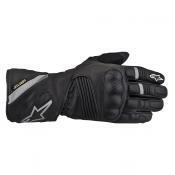 Alpinestars’ track-tested dual-density polymer knuckle protection system promotes ventilation and is structured for superior impact and abrasion performance. Innovative open back design features a perforated top panel for range of movement. Compound TPU sliders on little finger and palm heel are mounted on foam-backed leather panels for comfort and performance. Patented third and fourth finger bridge prevents finger separation and limits finger contortion and burst seams. Perforated poly-foam padding on thumb, cuff and fingers. 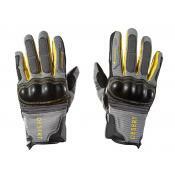 Leather reinforced finger seams for superior fit and pre-contoured finger construction to reduce fatigue. Synthetic suede palm reinforcements for improved grip. 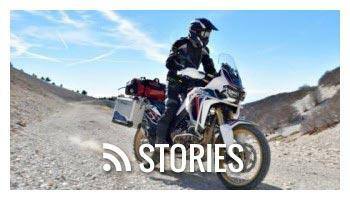 Perforated leather fingers and finger gussets for maximum cooling. Velcro® wrist closure, plus TPR detailing and printed logos.